The detective walked the line between recent high tide and the beginning of vegetation on the beach. She walked at the edge of the dunes. She looked through the sawgrass and sea oats and palmettos until she saw the two conjoined dunes looking back at her. 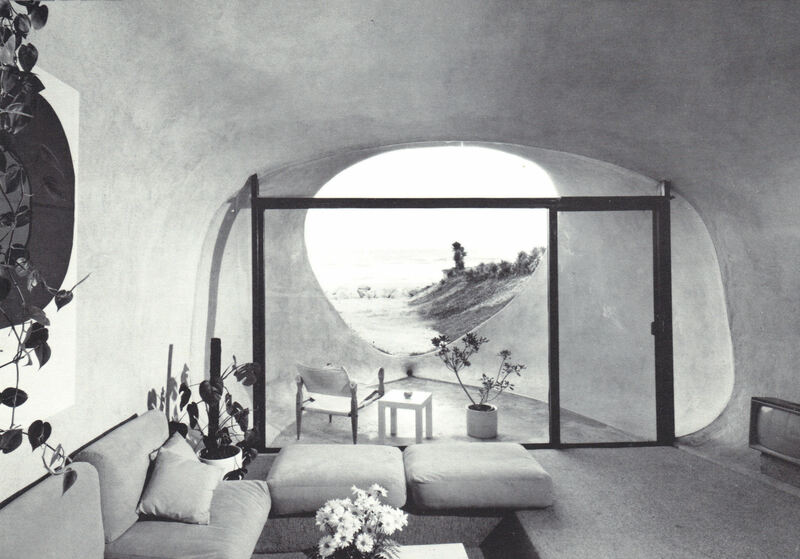 She had just left the houses inside the dunes, and now the dunes looked back, either side of their conjunction opening toward the beach in a large egg shape with living room-sized window just inside. Having spent the last year compiling all the evidence, the detective felt the long, long case nearing a close. She had investigated the architecture, the graves, the out-of-the-way locales. She had collected depositions and ephemera. She would soon be able to talk about Juan Alonso Cavale in Riverside, and that would bring Part One to its close. Still, the case would continue for a long time, and she had to be smart enough to look in the places someone else might not think to look. But now she was here to speak to one more person in one more place before presenting the ephemera in the penultimate chapter. The house William Morgan built for himself now more than 40 years ago stood next door. 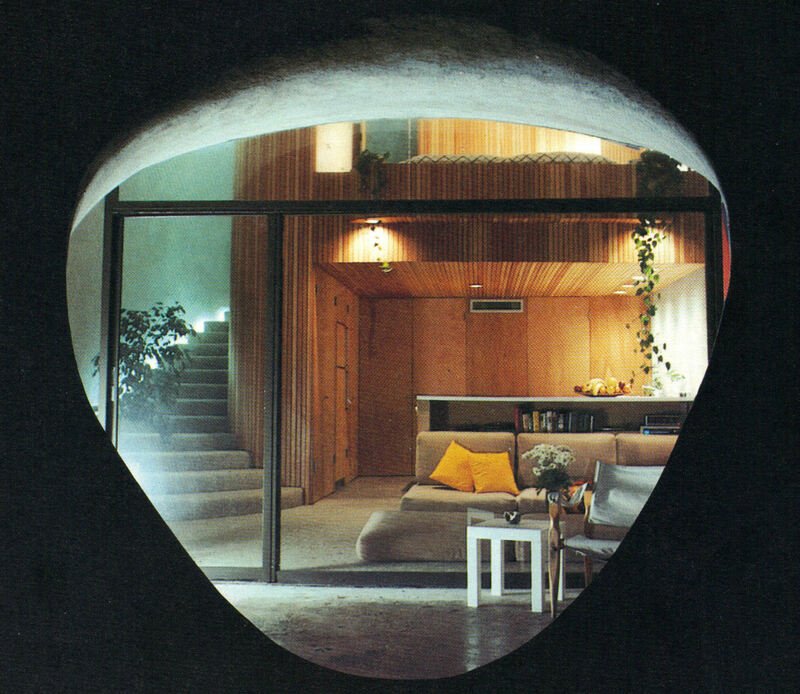 But first the Dunehouses, which he’d built in 1974 and ’75. The houses go so much against what so many people in this city want from a house. In any case, the detective thought, the early and mid-1970s were a different time, and the Dunehouses are different houses. They don’t announce themselves with a fanfare. The sloping sides and roof are covered in green grass. It’s easy to miss them and walk right by them. And they were built with energy conservation and environmental concerns in mind. 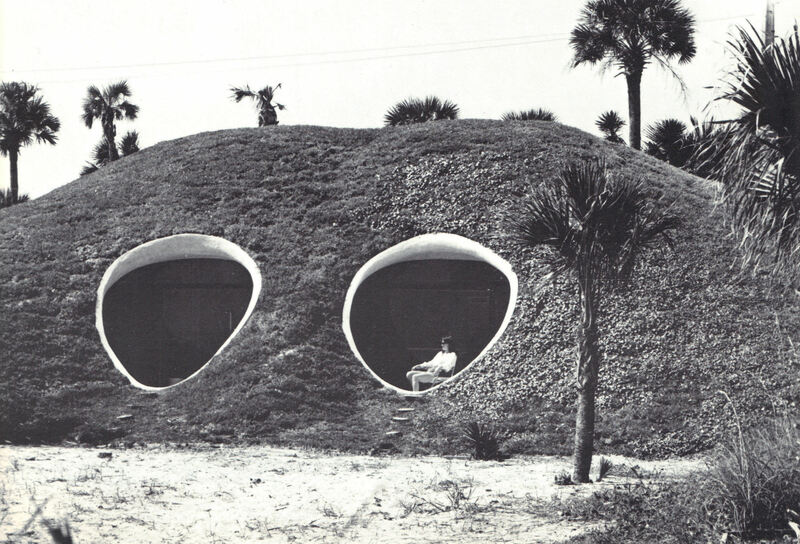 The two houses are built like housing pods inside their dunes, side by side, and they look out at the ocean and dream. Each house has two levels inside, the upper one for sleeping. They are as wide as they are high. The inside walls are blond wood and white concrete softly contoured. At Morgan’s own house next door, the architect told the detective the proportions of the rectangular interior of the Dunehouses are golden. Did she know what this meant? She said she did. She understood the Golden Ratio, the Ratio of Pheidias, the Divine Proportion, the Fibonacci Series, the spiral whose proportion is 1:1.618. He named several natural structures that adhere to the Golden Section, the spiral: the tusk of the narwhal, the spirals in pine cones, sea shells, and daisies, the double helix of DNA itself. A square added to the long side of a rectangle produces a golden helix. Morgan’s own house is a partial pyramid. More accurately, it’s two massive triangles meeting to make an A-frame. Inside the lovely reddish brown of cedar-planked walls, beneath an extraordinarily high ceiling down from which sunlight showers from a clerestory, the detective and the architect looked through great windows toward the ocean. 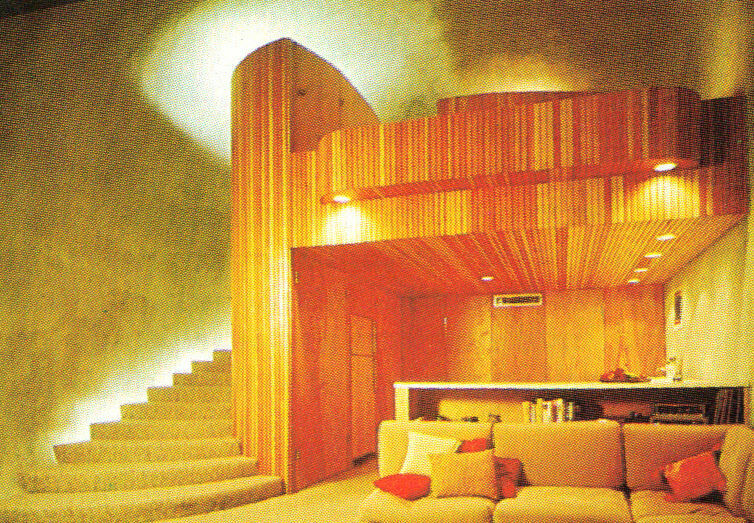 “And this house is also a dune house,” she said. 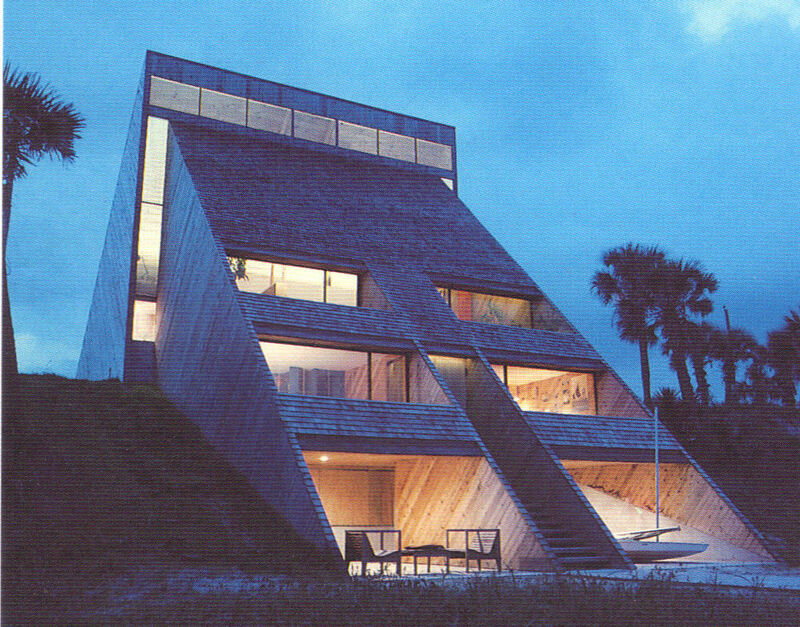 The house looks forward out of the dunes, on six levels, toward the sea. 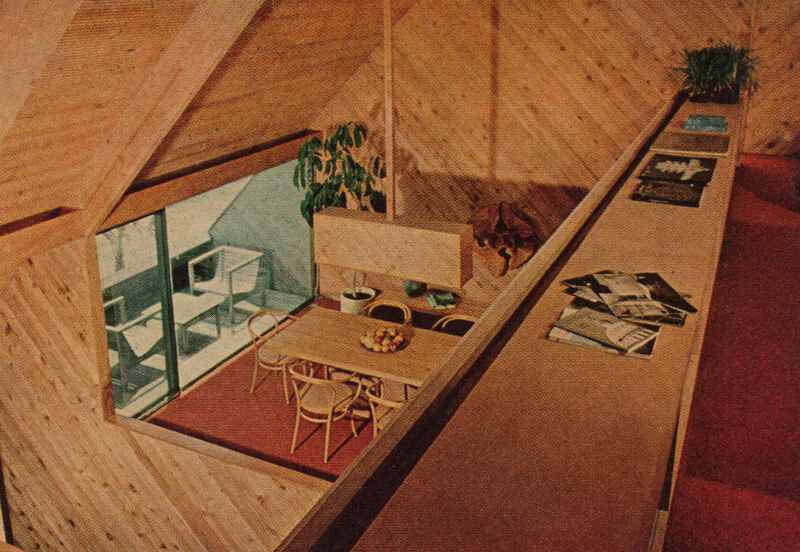 The clerestory windows are 30 feet up from the living room floor. The house is small, but the house is enormous. 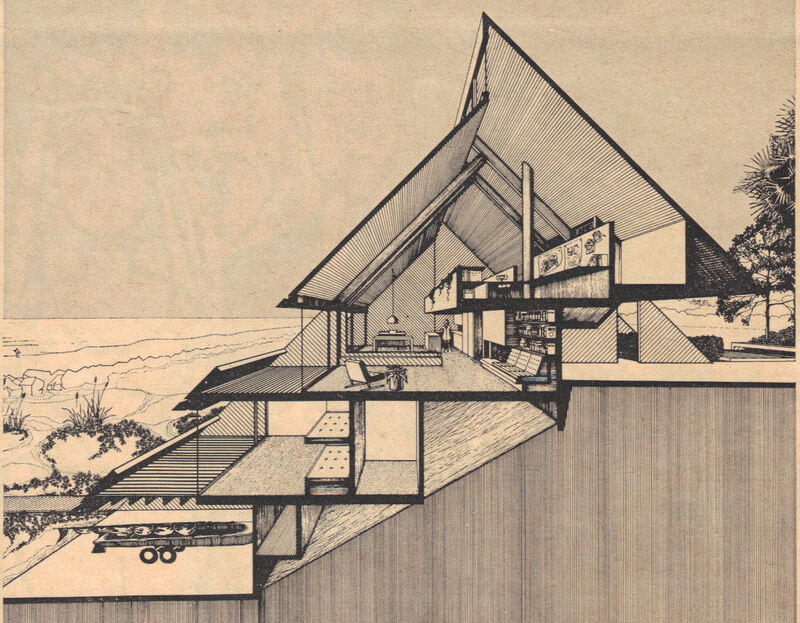 “Your style is distinctively yours, but you want basically what Frank Lloyd Wright wanted in terms of the relationship between a building and the earth,” she thought aloud. No house should begin its life in direct challenge to the geography that supports it. Such a house would haunt itself. This house is the exact inverse of haunted. The detective and the architect walked a short distance into the sea oats. A great blue heron sat above the southern eye of the Dunehouses, and the wind blew against the ragged feathers beneath her long, sharp beak. The detective and the architect watched the tall bird walk a few slow steps and then lift off clumsily into the softly buffeting wind. Then followed the architect, 85 years old. And she could not believe he was gone. “A long illness” was all they said. She turned, all evidence assembled, and thought she saw him standing there, watching her from the dunes through the eyes of his earthen architecture.